The London Pass can help you make your visit to London a much cheaper experience. London can be very expensive city but you don’t want expense to ruin your visit to this great City. After all you have come here to enjoy yourselves and to see as much as you can. This is why it is important to take advantage of the special offers and discounts available to you. Just to let you know, if you buy your pass via one of my links or banners I will receive an affiliate fee at no extra cost to you. Just thought i would be honest about that. Haven't Got Your Pass Yet! What Are You Waiting For? I think It's essential If you're visiting London's Top Attractions. 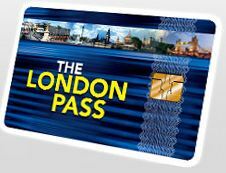 This pass is aimed at visitors who want to visit as many of the major London tourist attractions as possible, without breaking the bank. Skip Lines - Some of the entry lines to some of the major exhibitions can be rather long and who wants to spend half your time waiting in line. The pass also allows you to skip the lines at many of the attractions. Free 120 plus page Guidebook - This guide is full of useful information about the attractions and includes many maps and directions. There is an option to add unlimited public transport to your pass too. This could save you so much money as public transport can also be quite expensive. Personally if I was a visitor to London I would seriously consider buying this pass simply because I know from personal experience just how expensive some of the entrance fees are. This pass could save you hundreds of Pounds and I’m sure you can find many more fun ways to spend this saved money on.